OU: 1915 National Champions! Time to claim it! Posted on May 8, 2015 | Comments Off on OU: 1915 National Champions! Time to claim it! This fall the University of Oklahoma football team will be celebrating the Centennial of Bennie Owens 10-0 undefeated Sooners squad. This year is one of the 17 NCAA recognized football national championships for the University of Oklahoma. Of those 17 recognized national championships OU has only officially claimed 7. OU has so far only claimed the AP, UPI, Bowl Championship Series (BCS) championships. Of OU’s 17 NCAA recognized national championships 16 of them were during the AP/UPI/BCS years. One of the 17 is different. It happened before the AP/UPI/BCS years. That is 1915. There were no national college football poll before the AP had their first in 1936. To only claim AP/UPI/BCS years arbitrarily eliminates any national championship prior to 1936. 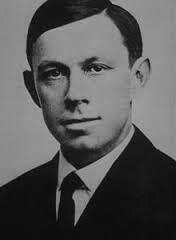 There were several mathematical systems that popped up in the 1920’s and 30’s and many of them went back to figure out national championships in the years prior including 1915. 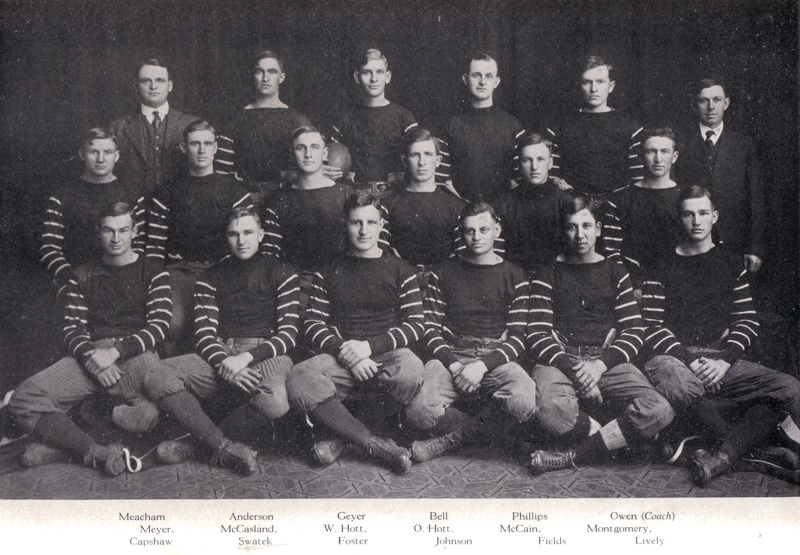 The 1915 year has 3 recognized teams as National Champions including the University of Oklahoma. Both Pittsburg (Pitt) and Cornell claim 1915 National Championship. OU’s claim to the National Championship in 1915 is as valid (or invalid depending on your point of view) as Cornell and Pitt. OU had more wins at 10 compared to Pitt’s 8-0 or Cornell’s 9-0 records. Of the NCAA recognized National Championship selecting services Cornell was picked by 4 services, Pitt and OU both was picked by 1 each. OU played 3 home games, 2 Neutral field, 5 away, 10 total. Pitt played 6 home games, 1 Neutral field, 1 away, 8 total. OU won the Southwest Conference in 1915 with a 3-0 Record with wins over Texas, Arkansas, & Oklahoma A&M, while both Pitt and Cornell were independents in 1915. OU was led in 1915 by Fullback All-American Forest Geyer. Cornell had 2 All-Americans and Pittsburg had 3 consensus All-Americans. When you compare the three squads, 2 of which already claim the 1915 Football National Championship, OU’s claim is just as legitimate. This isn’t the questionable national championships that Alabama, Texas A&M or USC have claimed recently. This one is a real National Championship won on the field and recognized by the NCAA! It’s time for the University of Oklahoma to raise the 1915 banner above Gaylord Memorial Stadium on the 100 year anniversary. OU should have 8 claimed National Championships not 7. The quest for 9 should start his year! Comments Off on OU: 1915 National Champions! Time to claim it!